Welcome to the Gold Coast, that stretch on the North Shore of Long Island that once held the greatest concentration of wealth and power in America. 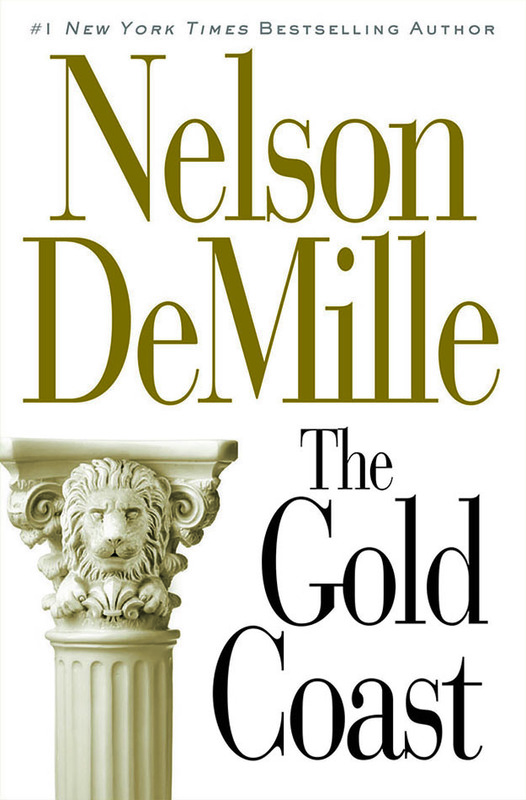 Here two men are destined for an explosive collision: John Sutter, Wall Street lawyer, holding fast to a fading aristocratic legacy; and Frank Bellarosa, the Mafia don who seizes his piece of the staid and unprepared Gold Coast like a latter-day barbarian chief and draws Sutter and his regally beautiful wife, Susan, into his violent world. Told from Sutter's sardonic — and often hilarious — point of view, and laced with passion and suspense. A captivating story of friendship and seduction, love and betrayal. I first met Frank Bellarosa on a sunny Saturday in April at Hicks' Nursery, an establishment that has catered to the local gentry for over a hundred years. We were both wheeling red wagons filled with plants, fertilizers, and such toward our cars across the gravel parking field. He called out to me, "Mr. Sutter? John Sutter, right?" I regarded the man approaching, dressed in baggy work pants and a blue sweatshirt. At first, I thought it was a nurseryman, but then as he drew closer, I recognized his face from newspapers and television. Frank Bellarosa is not the sort of celebrity you would like to meet by chance, or in any way, for that matter. He is a uniquely American celebrity, a gangster actually. A man like Bellarosa would be on the run in some parts of the world, and in the presidential palace in others, but here in America, he exists in that place that is aptly called the underworld. He is an unindicted and unconvicted felon as well as a citizen and a taxpayer. He is what federal prosecutors mean when they tell parolees not to "consort with known criminals." So, as this notorious underworld character approached, I could not for the life of me guess how he knew me or what he wanted or why he was extending his hand toward me. Nevertheless, I did take his hand and said, "Yes, I'm John Sutter." "My name's Frank Bellarosa. I'm your new neighbor." What? I think my face remained impassive, but I may have twitched. "Oh," I said, "that's …" Pretty awful. "Yeah. Good to meet you." So my new neighbor and I chatted a minute or two and noted each other's purchases. He had tomatoes, eggplants, peppers, and basil. I had impatiens and marigolds. Mr. Bellarosa suggested that I should plant something I could eat. I told him I ate marigolds and my wife ate impatiens. He found that funny. In parting, we shook hands without any definite plans to see each other again, and I got into my Ford Bronco. It was the most mundane of circumstances, but as I started my engine, I experienced an uncustomary flash into the future, and I did not like what I saw. In development with Michael Bregman Productions.